According to the Houzz Renovation in America survey findings, the average kitchen remodel costs $28,030. If you’re planning to remodel your kitchen this year, you can use the 2014 survey results as a guideline to estimate spending. 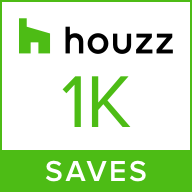 In a nutshell, according to Houzz, you should estimate spending about 16% of your total budget on labor and the rest on countertops, flooring, cabinets, appliances and other materials that make up your new kitchen. Sleek, streamlined cabinets add style without compromising on space and function. Clean lines, crisp edges, and cherry doors stained chocolate give this kitchen a distinct modern look. Size them from floor to ceiling cabinets so that smaller style kitchens appear larger and more expansive. A darker cabinet finish such as mahogany or cherry exudes timeless style; pine, maple or light paint colors such as white or beige add a casual feeling to any style kitchen. Don’t shy away from varying your cabinet layout with glass front doors or open shelving. These can add an openness and variety to your kitchen, but bring with them the added responsibility of keeping the contents tidy. Allow your individual style to be expressed with your cabinet hardware and cabinet finishes. Choose creative pulls and handles for an eclectic look; sleek stainless steel pulls lend themselves to an elegant aesthetic; wood or brass highlight a traditional kitchen style. Fortunately for homeowners on a budget, there are a dizzying array of countertops to choose from: natural materials such as wood or stone to manufactured surfaces such as corian or concrete. Keep your new kitchen up to date and opt for 2-2 ¼” thick countertops – of any material – over the traditional (and slightly outdated) 1 ¼” thick countertops. A popular choice is quartz, a manufactured , easy-to-care-for surface with the look and feel of natural stone. It is available in a variety of color options, is non-porous and doesn’t need to be resealed. . Many quartz counters feature antimicrobial protection—a popular feature in counters and flooring — that fights the growth of odor-causing bacteria, mold, and mildew. A very popular flooring option are large-format tiles sized 24”X24” to 36”X36” versus traditional 12”X12” tiles. The larger size gives floors an instant updated look and because they’re available in a wide variety of materials and shapes more and more homeowners can adapt them to any décor style. A word of caution, large-format tiles are heavy and require a perfectly level substrate, which means you’ll need to hire a professional contractor to install the tiles correctly. Porcelain is another popular choice – less expensive than natural stone, but more luxurious than vinyl – and stain resistant. Often mistaken for ceramic, porcelain tiles are less expensive and have a higher density and durability that make them preferable for high-traffic areas in your home. Environmental sustainability is more than a buzzword these days, it’s a lifestyle. Savvy designers and manufacturers are translating this demand for conservation and eco friendly living into upgraded, modern appliances for modern kitchens. According to the U.S. Department of Energy, lighting, refrigeration and cooking are responsible for 41.5% of a home’s energy consumption. New eco-appliances offer sleek designs and high-tech capabilities that remove toxins, odors and allergens from the air and water, creating a safe space for you to build a healthy and happy life. For example, the new Whirlpool Resource Saver refrigerator qualifies for the EPA’s Energy Star, since its energy use is equivalent to powering a 60-watt light bulb. As you shop for new energy-efficient home appliances look for those that have an “Energy Star” rating, which indicate how efficient the appliance is. Don’t forget the walls that frame your new kitchen. You have a wide variety of choices when it comes to completing your overall kitchen remodel. Whether your final choice is a tile backsplash, paint or wallpaper, always visualize your walls alongside your new cabinets to ensure the entire look is cohesive and appealing. The most popular choice is a combination of tile backsplash and paint. If you decide to incorporate tile backsplash we recommend choosing glass tiles, which are a long-held favorite of designers. Other hot options include travertine, slate, stone or granite in a variety of forms. Be wary of pastel and other dated colors. Are you ready to select your kitchen materials? Palm Brothers Remodeling offers contracting services with designer creativity to help you understand the potential of your living space. Contact us today for a free estimate. Find luxury and custom cabinets, flooring, and lighting for your kitchens, bathrooms and living spaces in our Kitchen and Bath Remodeling Showroom located at 1410 Pine Ridge Rd, Naples, Florida.